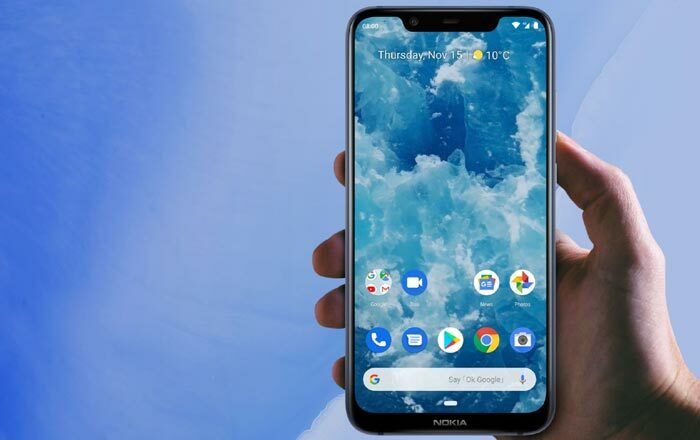 The Nokia 8.1 has finally made it to international waters after getting launched at an event in Dubai. The phone first arrived in China as the Nokia X7 a few months ago. Most folks expected HMD Global to call it the Nokia 7.1 Plus, but the brand’s gone in a different direction. The name might suggest the device is a sequel to the flagship Nokia 8, but that’s not entirely accurate. That’s mainly because it runs on a Snapdragon 710 processor and not the Snapdragon 845. Still, it commands a hefty price tag of EUR 399 (roughly Rs 32137) for its sole 4GB of RAM and 64GB of ROM variant. Europe and the Middle East can snap up the Nokia device starting from mid-December. Meanwhile, India is getting its own launch event on December 10. The company hasn’t confirmed what exactly is set to be announced, but the 8.1 is a strong bet. The Nokia 8.1 and Nokia X7 are basically the same, but there are some significant changes. The most important distinction is the former’s Android One membership which allows it to get at least 2 years of OS updates and 3 years of security updates. The 8.1 already runs on Android 9.0 Pie, a big upgrade over the Oreo-running X7. The one feature which sets the Nokia 8.1 apart from rivals is its 6.18-inch FHD+ PureDisplay. The handset boasts of HDR10 support, a 1:1500 contrast ratio, and 96% color gamut. Android 9.0 Pie brings the machine learning-based Adaptive Brightness to the table, adjusting the luminosity based on your environment and slider habits.